Some gems, like opal, are highly coveted but rare to find, much less in the sizes and quality people dream of owning. Glass opal simulants offer you the best of both worlds. You get the beauty of a beautiful natural opal, but at a budget-friendly price. This glass simulant recreates the beautiful play-of-color coveted in natural opal. 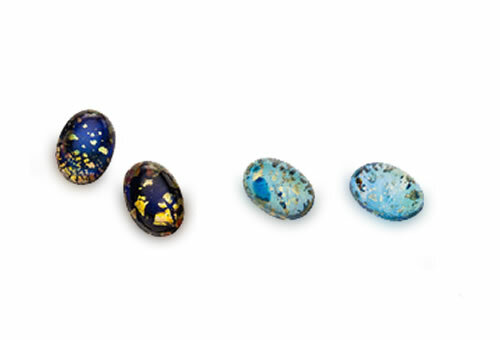 Glass opal simulants contain iridescent flakes of metallic foil that give the illusion of play of color. Sometimes gas bubbles can be seen.